Virtuoso Universal offers aesthetics, high polishability and optimal handling – all in one formula. The innovative nanofill technology from the clinically proven, award-winning Virtuoso family of advanced restoratives is a true universal restorative material for anterior and posterior applications. SKU: 030381950. Availability: In Stock Size: N/A Category: RESTORATIVE. A Highly Polishable Universal Composite that Cures Faster than Ever. Virtuoso Universal offers esthetics, high polishability and optimal handling – all in one formula. The innovative nanofill technology from the clinically proven, award-winning Virtuoso family of advanced restoratives is a true universal restorative material for anterior and posterior applications. 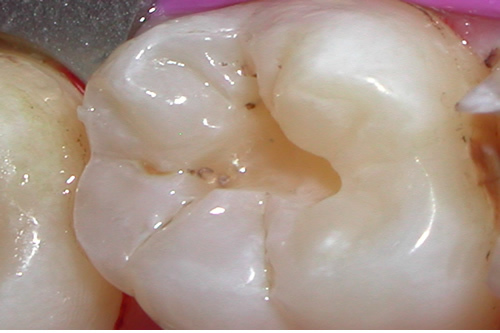 First molar with defective amalgam restoration. 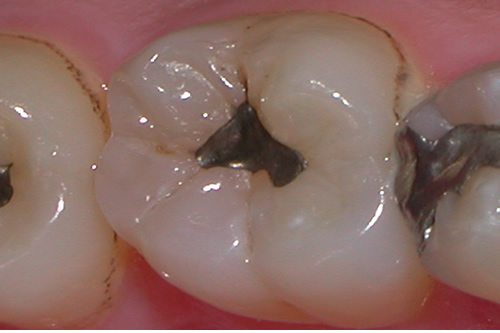 Tooth following amalgam and caries removal. 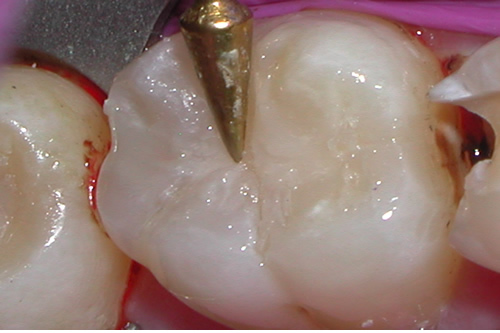 Retentive cavity design is not indicated with Virtuoso Flowable. Apply Tenure Unibond (Self Etching Bonding Agent) to the preparation. NOTE: Etchant is required if bonding to uncut enamel. Apply Gloss-N-Seal on the preparation and light cure. Syringe, pack and cure Dentin Shade (A3.5) Virtuoso Universal into the preparation at 2mm increments until aprox 1mm short of the preparation margins. Syringe and fill the remaining preparation using the appropriate shade of Virtuoso Universal to match surrounding surfaces. Gross removal of excess Virtuoso Universal. Fine removal of Virtuoso Universal. Fine sculpting of anatomy details. 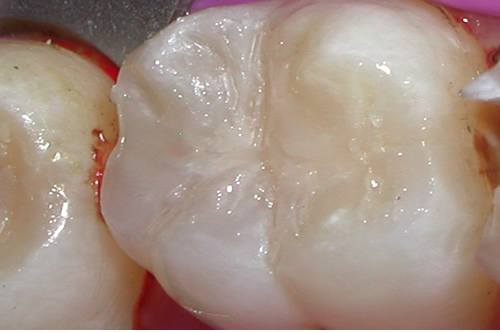 Restoration after adjusting the occlusion and polishing. 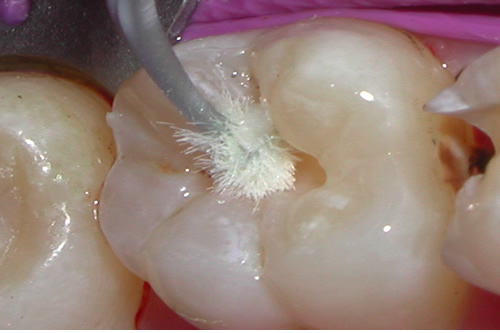 What is the best product to transition to if amalgams is what I’m used to? Try Virtuoso Universal. 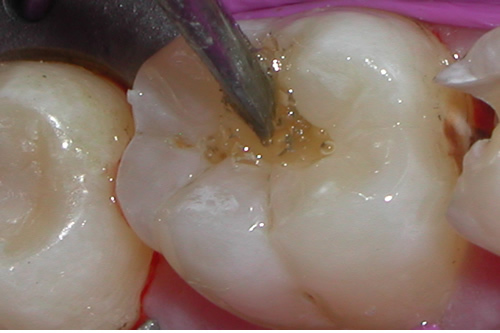 It is a non-sticky, micro-hybrid, universal composite developed as an alternative to amalgam. Divided, individual capsules provide easy delivery and ease of use. It eliminates the chance of possible contamination and excessive waste. 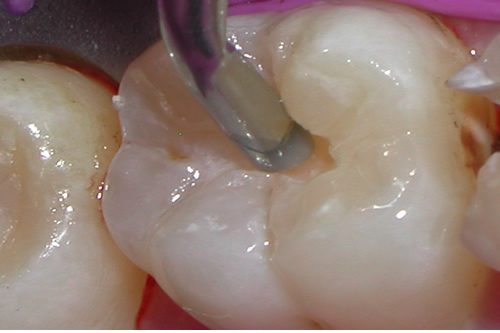 In addition, a wide range of shades allows for excellent esthetics in posterior restorations. 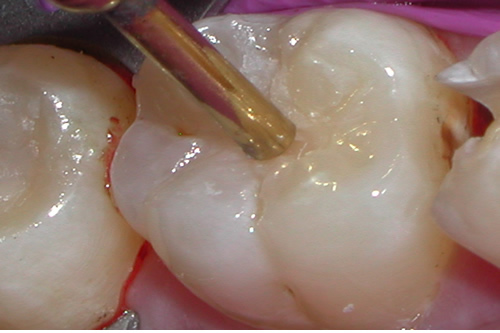 What restorative should I select if I am looking for something with beautiful esthetics as well as high strength? Virtuoso Universal. 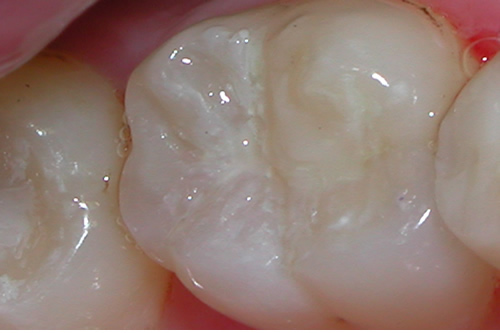 Nanofill particles are combined with microfill particles in a superior resin system to form a unique, nanofill hybrid composite. 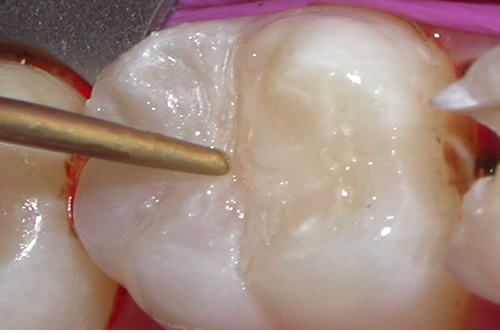 Nanofill composites are the future of restorative materials. 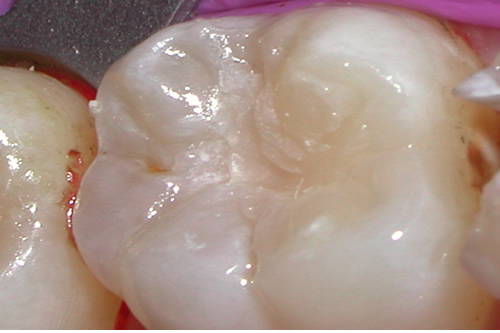 Traditional hybrid composites offer high strength, but quickly loose their glossy finish. Microfill composites offer superior finish, but sacrifice fracture resistance. Virtuoso Universal provides the best of both worlds, the high strength of a hybrid composite with the exceptional long-term esthetics of a microfill.